British actor Gregg Sulkin’s been doing very well on Marvel’s TV version of The Runaways. But do you know where else he’s doing very well? 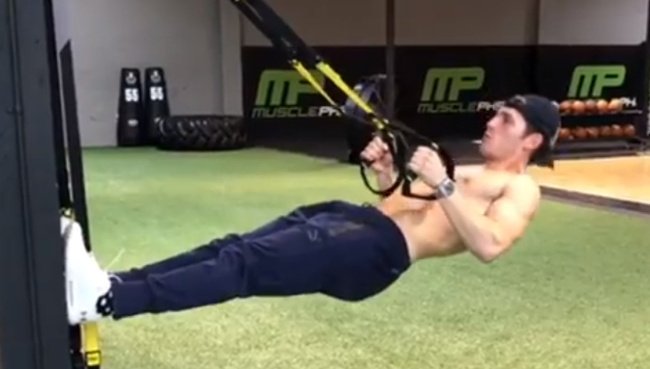 At the gym, and he’s doing it without his shirt, as his latest video demonstrates. 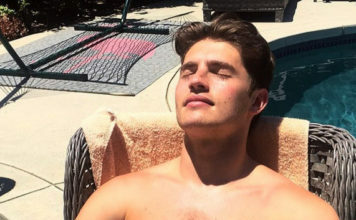 26-year-old Gregg Sulkin is an actor and a model, who we’ve seen shirtless (and more) in the past. Shirtless and wet on his vacation, for example, as well as that time he wore very short shorts (and was wet again). In case you were wondering, he does yoga too. Get up, get out, get healthy! Started my Sunday with Yoga! What are your plans on this beautiful Sunday? In all honesty, I had a rather inflamed zit on my shoulder.